Sleeping with plants in your bedroom is not harmful, unlikely what we often hear people say. Plants contribute to the well-being, making the environment more pleasant, more relaxing and healthier. Areca and Epipremnum are particularly indicated to this purpose: the former cleans the air during the daylight hours, the latter absorbs formaldehyde, a chemical that is harmful to the organism. There is a third plant with purifying properties which carry out its precious activity right during the night and this is why it was named the “bedroom plant”, i.e. Epiphyllum. During the night, it consumes carbon dioxide and produces oxygen, thus making purer the air in the room; furthermore, it calls for very little care and has no special needs of water or soil; it is therefore recommended to grow it in a closed environment where it can receive the right quantity of light. Other plants that release oxygen during the night are Aloe Vera, Sansevieria and Cyclamen. It must be taken into consideration that every plant has specific features that, in case of particular pathologies, such as allergies, medical advice might be required. Those who are affected by pollen allergy should actually not sleep with plants in the room. Furthermore, sleeping with flower plants such as orchid, hyacinth, lilium, gladiolus and rose in the same room is not advisable: the release of scent might make falling asleep more difficult. Sleeping with plants? The answer is certainly yes, as long as you do not suffer from allergies. 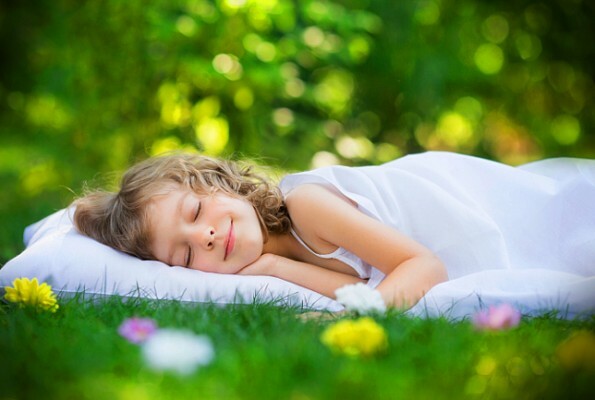 In such case, a natural mattress is the real panacea for good rest.